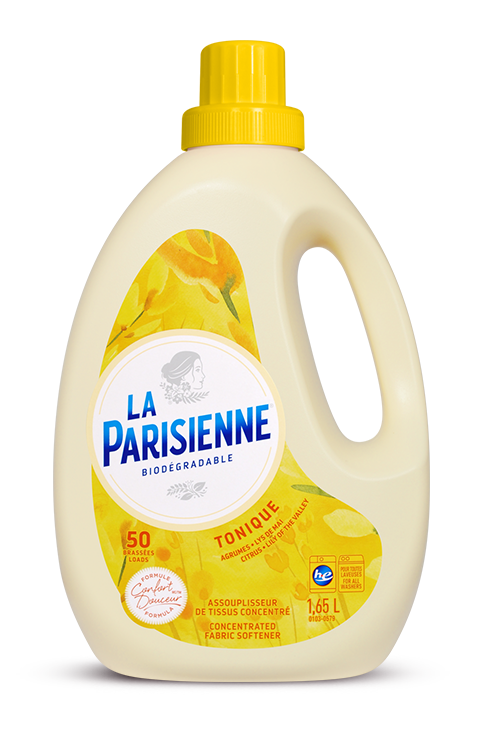 La Parisienne Confort-douceur bioegradable fabric softener makes fabrics softer while controlling static. Immerse yourself in the light, comforting scent of TONIQUE – Slightly spicy with notes of citrus and lily of the valley for laundry with a sunny, energizing tang. *Biodegradable within 28 days according to the OECD 301D test standard as confirmed by an independent lab. Good for your fabrics, good for the environment!